The WomanCode cleanse is four days long and is intended to clean your system of built up estrogen and toxins that may be disrupting hormonal balance in your body. Here is a detailed look into what I ate, how I felt, and what I learned. 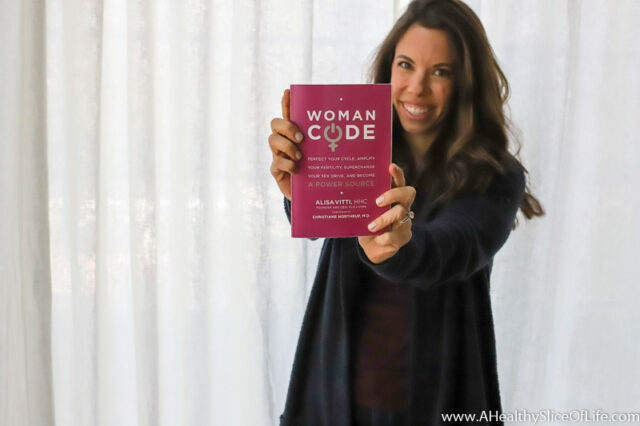 I mentioned a few weeks ago on Instagram that I bought WomanCode, a book that educates women about their hormone health, helps connect our symptoms, biochemistry, and food, and offers holistic strategies to solve hormone-related problems, including everything from cramps, fatigue, and skin issues to energy, mental focus, and moods. A brief history: I was diagnosed with PCOS by a doctor many years ago. Another doctor told me I didn’t have it. Yet another doctor told me I was borderline PCOS (is that even a thing? ), so I honestly have no idea if I have it. I do know I have a history of troublesome blood sugar levels. I remember when David and I were first dating I’d sometimes get so hungry on our way to a restaurant, I’d feel like I was going to pass out. I couldn’t talk, and sometimes I’d cry. I think he thought I was a crazy person. Since then I’ve learned to completely control my blood sugar levels with eating the right foods, so it really hasn’t caused me to be symptomatic since. However, I tend to have irregular periods varying anywhere from 28-40 days and furthermore, I feel fatigue, brain fog, cramps, bloating, and can have other stomach issues not only with period, but during ovulation, too. This means that every other week I’m generally not feeling my best. It’s not terrible, but I was intrigued enough by the WomanCode’s promises to regulate blood sugars, reduce symptoms, and embrace the different phases of my cycle rather than to push through them that I decided to give the methods a try, beginning with the cleanse. 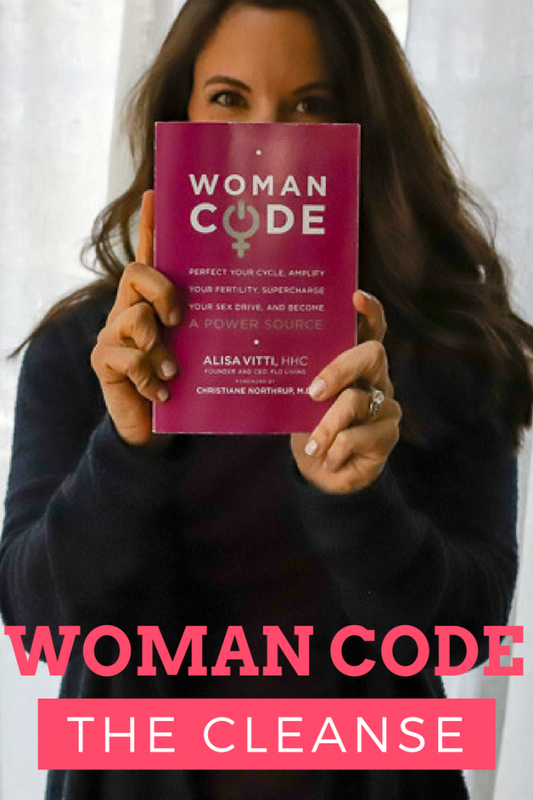 The WomanCode cleanse, outlined in the book, is four days long and is intended to clean your system of built up estrogen and toxins that may be disrupting hormonal balance in your body. The book explains the delicate balance among our hormones and how a liver congested by environmental toxins (household cleaners, toxic makeup, body products), food toxins (pesticides, herbicides), and excess hormones (cortisol, estrogen) essentially wreak havoc on our bodies and result in issues with PCOS, fibroids, cysts, heavy periods, PMS, etc. Vitti lays out in detail what you are to eat for each of the four days, giving small choices for each portion of the meal (for example: mung bean soup or vegetable soup). 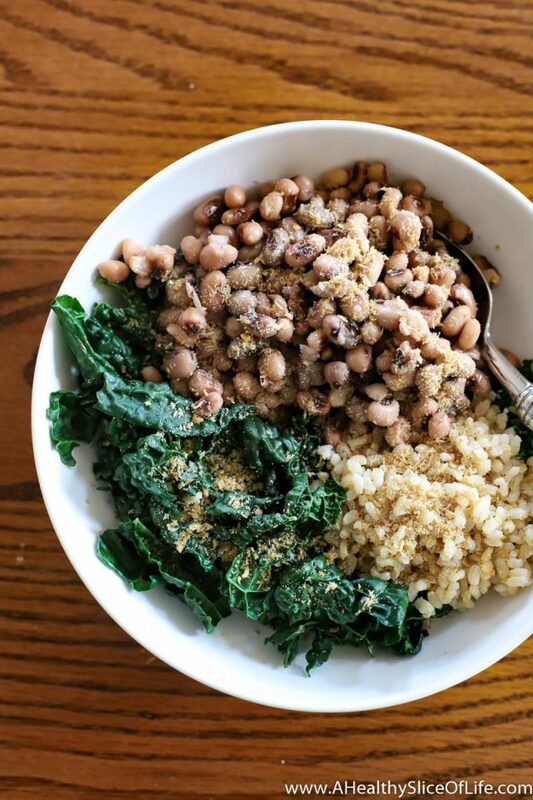 Essentially you are eating a lot of fruits and vegetables with small amounts of unprocessed grains (brown rice, quinoa) and healthy fats (ground flax seed, avocado) in designated amounts. As with most cleanses or healthy eating, prep day is essential. I made the mung bean soup, the liver cleansing vegetable medley, washed my fruit, and made a batch of brown rice. 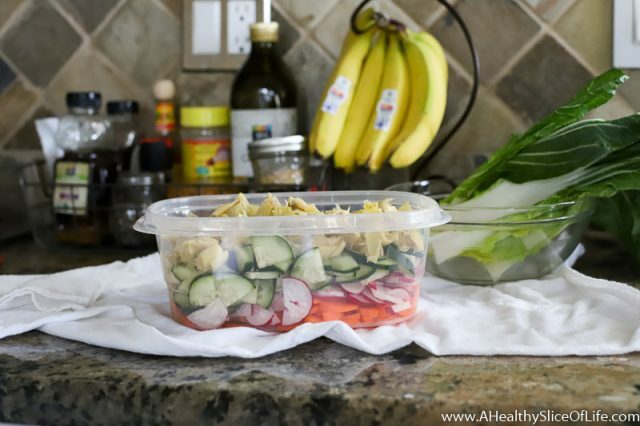 This was imperative because when I was super hungry was when I was most likely to want to quit, so having food ready to go was cleanse-saving. The first two days on the cleanse are identical, then things switch up slightly for days three and four. These are the details of what I ate on day one, but for details on all four days, I highly suggest buying the book. 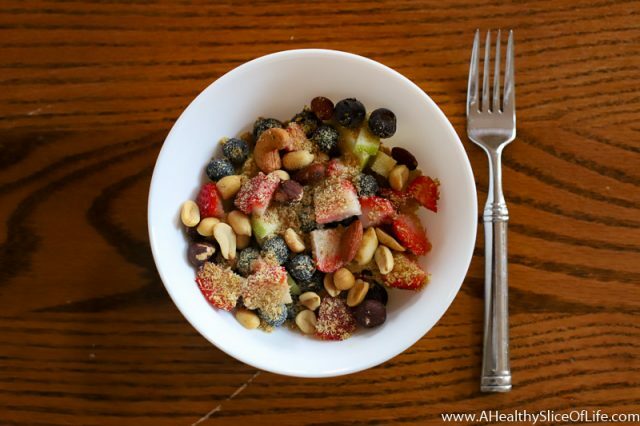 Breakfast on day one was 1 1/2 cups of fruit salad (granny smith apples and berries) with 1 Tbsp ground flax seed with a squeeze of lemon, 8 ounces of water, and a green drink. The author recommends this powdered green drink in the book but says any will do, so I chose one that I liked more. More on this green drink in the “likes” section. She also recommends a fiber supplement with breakfast or digestive enzymes. After a lot of helpful suggestions and feedback on Instagram on digestive enzymes (spoiler alert, people love them! ), I decided to do some research on celery juice. After really loving the information I found (again, more details below), I opted to drink 10-12 ounces of celery juice in place of a fiber supplement each morning. Lunch was 1/2 cup of sprouted brown rice, 1 Tbsp of ground flax seed, 1/3 cup of cannellini beans, and unlimited liver cleansing medley (a vegetable blend I chopped up during my meal prep). I dressed it with a little olive oil and a apple cider vinegar. A snack is allowed, but not required. However, I needed a snack every day. She suggests another serving of lunch, approved fruits and veggies, water, and hot tea. I opted for the fruit and hot tea route. 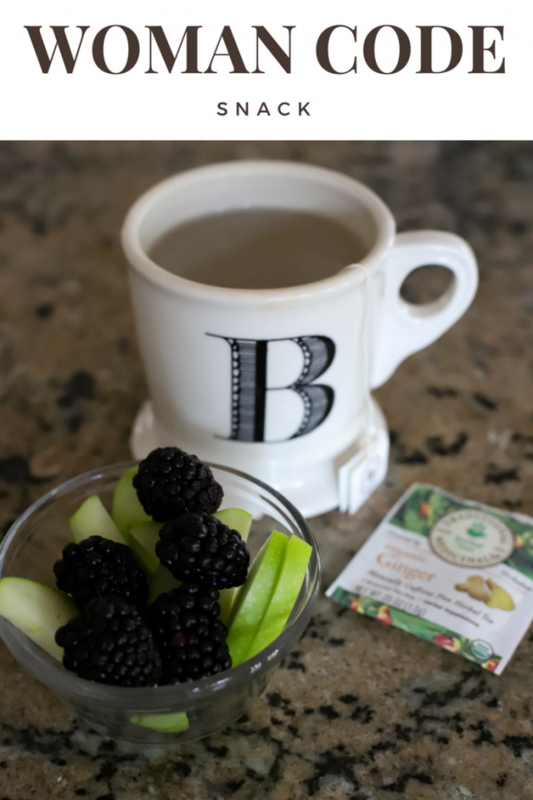 In fact, I drank organic ginger tea almost constantly throughout the entire cleanse because it’s great for digestion. 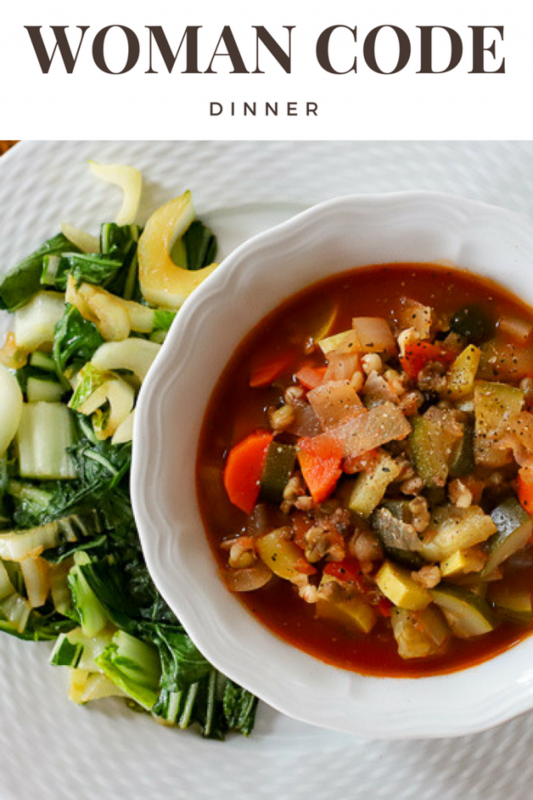 Dinner was 1 1/2 cups Mung Bean Minestrone. The simple recipe is in the book and despite being warned that mung beans were not great, I thought the soup was delicious! Perhaps it was just my hunger talking? 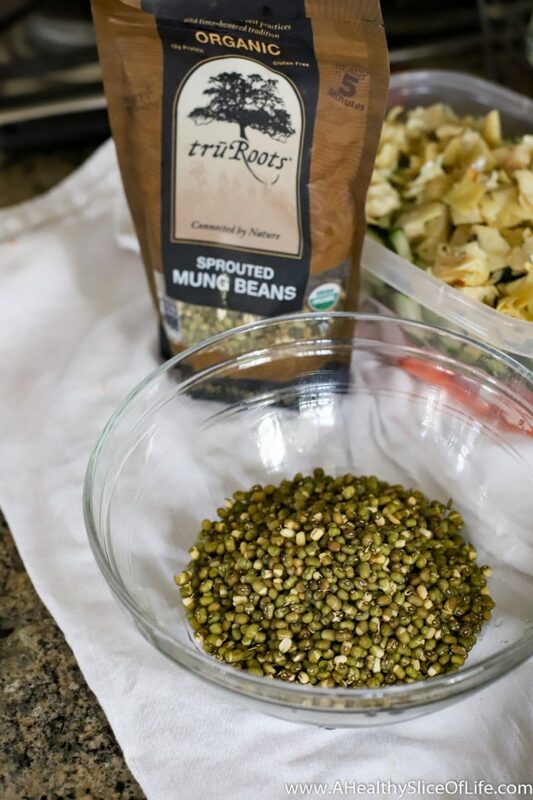 But in all seriousness, the soup was good and supposedly mung beans are great for cleansing because they are a high source of nutrients including: manganese, potassium, magnesium, folate, copper, zinc and various B vitamins. They are also a very filling food, high in protein, resistant starch and dietary fiber. With dinner, you are allowed unlimited leafy greens. I joked a lot about this on my Instagram stories- UNLIMITED KALE- but I guess it was nice to have an unlimited option of something. I alternated between bok choy, kale, and collard greens. I have my cleanse experience saved under my highlights of Insta if you’re interested. Vitti recommends eating dinner 3-4 hours before bed, which gives your body time to digest the food but (supposedly) you aren’t hungry enough to want another meal. LIES. Sorry, that was my hunger talking again because I went to bed early most nights just to stop myself from eating again. And two of the nights I snagged a few berries anyway. 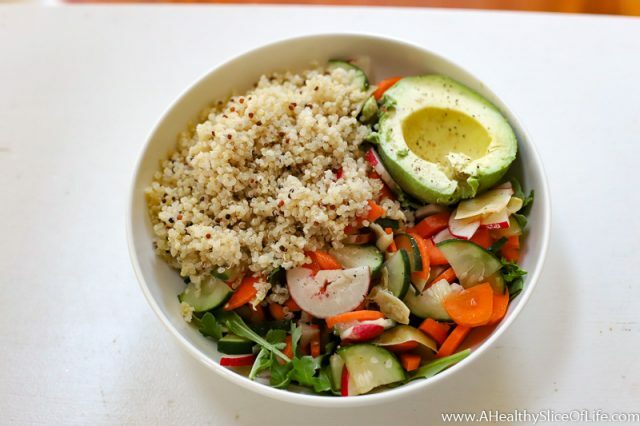 Days three and four slightly alter your meals (quinoa instead of brown rice, a small amount of avocado or nuts added in, less beans, etc). It’s amazing how much it excited me to switch things up on day three. The half avocado I got for lunch was the highlight of my day! I was frustrated that there is no explanation in the book about why you are eating these particular foods or why you are eating them in that particular portion size. I was hungry during this cleanse, even though I’m not sure you are supposed to be. However, I really wanted to do it right so I hesitated adding anything else in (even an extra serving of mung bean soup). Day one sucked. I don’t have any other words for it. I was CRANKY as can be. Whiny, kind of hungry, so unsatisfied, and honestly almost quit. I started on a Sunday and I think having to skip out on family pancakes and my Earl Grey tea just bummed me out. I found it much easier to stick with it on weekdays. The inability to workout (at least for me). My energy levels were pretty good, but I did not have the will or strength to workout. I didn’t even attempt Burn, but I played tennis one day and felt exhausted from it so I kept my activity to light walking and laundry. Feeling deprived. This is why I’m not a cleanse person. The moment you tell me I can’t have XYZ, it’s all I think about. I hate the feeling of deprivation, but in this case, I’m glad I stuck it out. The food was good. I’ve always shied away from juice cleanses because I have the need to CHEW. So I appreciated chewing and enjoyed the variety of vegetables and fruits. Actually using my ground flax seed. I’ve never used ground flax seed as much as I have over this cleanse and surprisingly I really liked the texture and nutty flavor it added to the fruit. To get the benefit of flax seed (beyond fiber), it must be ground, however it doesn’t typically have a long shelf life (about one week past the written expiration date), so I’m thinking I might get a seed grinder so I can grind my own as needed. Bonus- it grinds coffee beans too! Green Vibrance Powder. I had a friend ask me what was in this drink mix, but I told her the shorter list may be to list what wasn’t in it. It has over 70 ingredients including fruits, vegetables, enzymes, probiotics, and more to fill nutritional gaps. It doesn’t taste great, but it isn’t bad. 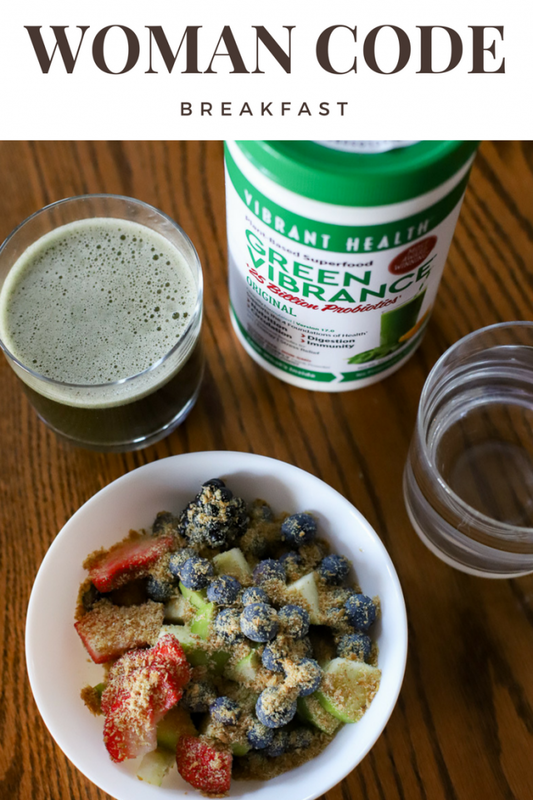 Plus, I felt a definite burst of, can I say vibrance?, after drinking this each morning. I love it. How “empty” I felt. By day three I just felt so much slimmer. Not because I lost weight, but because I had absolutely NO BLOATING for four days. I didn’t even think I was very bloated beforehand, but it was a noticeable difference that my stomach felt the same at night as it did in the morning. It blew my mind and I liked it very much. How it re-calibrated my hunger. I already mentioned I did feel hungry which was not fun. However, it also made me realize that a little hunger is OK. I thought I was pretty tuned into my hunger cues before, but I think the cleanse help reel in my natural impulse to snag something and eat it just because I happen to be in the kitchen. Celery contains compounds called coumarins, which are known to enhance the activity of white blood cells and support the vascular system. It also helps to purify the bloodstream, aid in digestion, relax the nerves, reduce blood pressure, and clear up skin problems. Celery is rich in vitamin A, magnesium, and iron, which all help to nourish the blood. Celery juice is also rich in organic sodium content, which gives it the ability to dislodge calcium deposits from the joints and hold them until they can be eliminated safely from the kidneys. It stimulates stomach acid, reduces inflammation, and supports the liver. I don’t have a juicer, so instead I bought organic celery hearts, washed and roughly chopped it into pieces and put the pieces in my Blendtec with a splash of water. Once blended, I squeezed it through a nut milk bag and I was left with anywhere from 8-12 ounces of fresh celery juice. I drink it first thing in the morning on an empty stomach, then eat breakfast about 20-30 minutes later. The day after the cleanse, I found myself still sticking with the basic outline because I felt so good and did not want to lose that feeling. 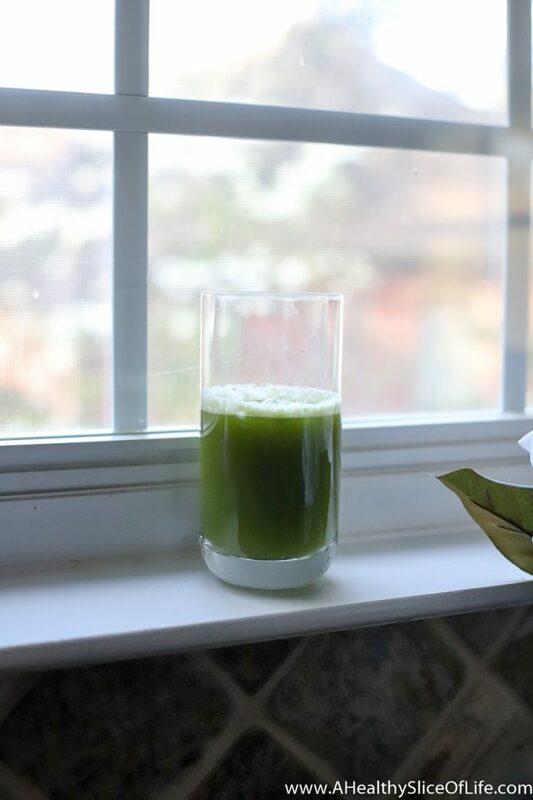 I plan on adopting some of the principals from the cleanse into my daily routine, such as celery juice first thing in the morning and Green Vibrance right after breakfast. 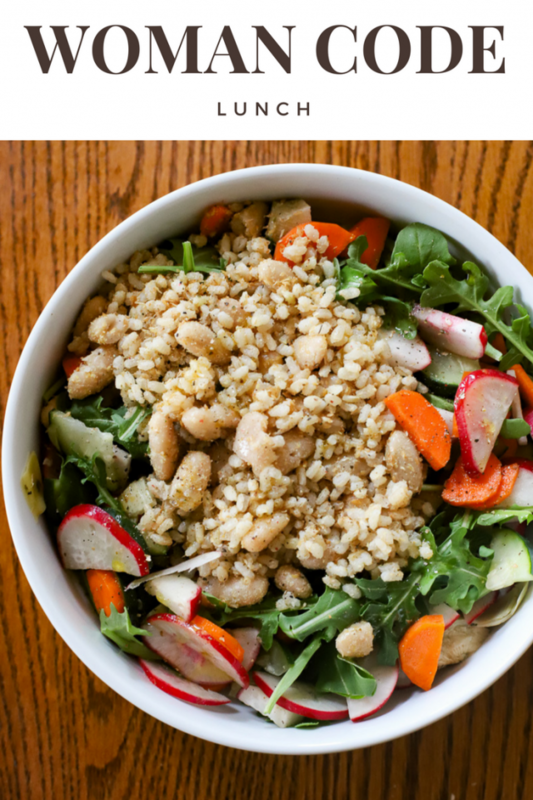 I am going to aim to make lunch my heartiest meal and go light on grains and sugar in the evening. I also am going to follow (albeit not perfectly) the recommendations in the WomanCode as to which foods to eat and which preparations are best during each phase of my cycle. It sounds complicated, doesn’t it? 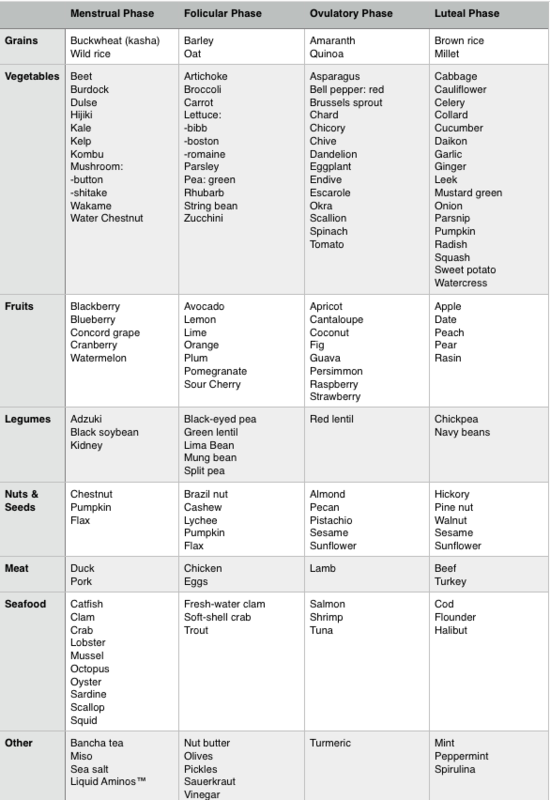 Eating different foods during each phase of your cycle? I think so, too, but I think if I take a relaxed approach it won’t be too challenging to incorporate these foods each week. Several of you also recommended I download the FloLiving app, which I did. I am liking it so far and it is helping me track my cycle. Additionally, it offers holistic advice on which foods to be eating and lifestyle tips to support each phase. I’ve said over and over again I’m not a cleanse person and although I did not find this experience enjoyable (just ask David who received the brunt of my hanger), I did find it very valuable. If hormones and female health interest you, I highly recommend reading The WomanCode. In full disclosure, I found the first 70ish pages to be repetitive and somewhat “fluff,” but the core of the book is educational, enlightening, and empowering. I hope this review has been helpful and if you have any questions or other resources worth considering, please let me know in the comments! OK, I am definitely going to get on the mung bean and celery juice train! How long does the celery juice stay good? I also don’t have a juicer, and that process could work in meal prep but never on a busy workday morning! I have heard (but can’t verify) that you can keep it 1-2 days in the fridge, so it sounds like making it the night before would work just fine to me! Gosh, does your history sound just like mine……hopefully yours turns out better than mine did two years ago. Now I’m curious what happened to you two years ago? I think its best to keep things positive for you since we all have different bodies and everyone with this type of system/cycle don’t turn out like I did. I will say, they never pinpointed my PCOS much like yous, but if i would have met my surgeon back then I would have done things SOOOOO differently. Woo Woo! All aboard the pseudo-science train! Yes, I felt the same way when reading this. Agree! So disappointed to see this. It’s a diet. Boo to diet culture and pseudo science! Are you on any type of hormonal birth control? Just curious because you said you track your cycles. 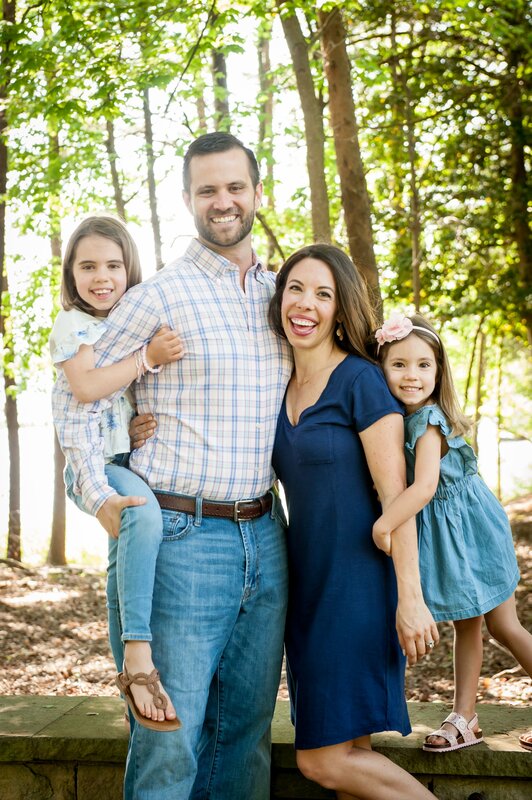 Do you do natural family planning? No, I’m not on any hormonal birth control so tracking my cycles has been eye opening! So glad you’re trying the celery juice! I have tried it before (fell off the bandwagon, but just got back on recently) and it is great. I am just curious, are you still going to continue with your turmeric tonic as well? I probably will alternate between both! I’m getting fond to too many drinks between the celery, the tonic, and the green drink- haha. I won’t be doing all everyday, but will be switching between them. Thanks for the book recommendation! I’ve been considering doing some type of reset/cleanse once I finish breastfeeding (hopefully in the next 2-3 months!) to try to get things back in order and jump start some final pregnancy weight loss. I’m attracted to this as I love brown rice and beans! I ended up having c-sections so I had my tubes tied after baby #2 and I must confess my only thoughts so far about my period after it resumed around 6 months post partum have been a general dislike for that time of the month. I love to find extra uses for my french press and I think it would work great to strain celery juice! Do you think that would work or is the final product extremely pulpy? For what it’s worth, I just bought a Breville juicer on Amazon, used like new for $75, regular $100, and love it! Easy to clean and compact. 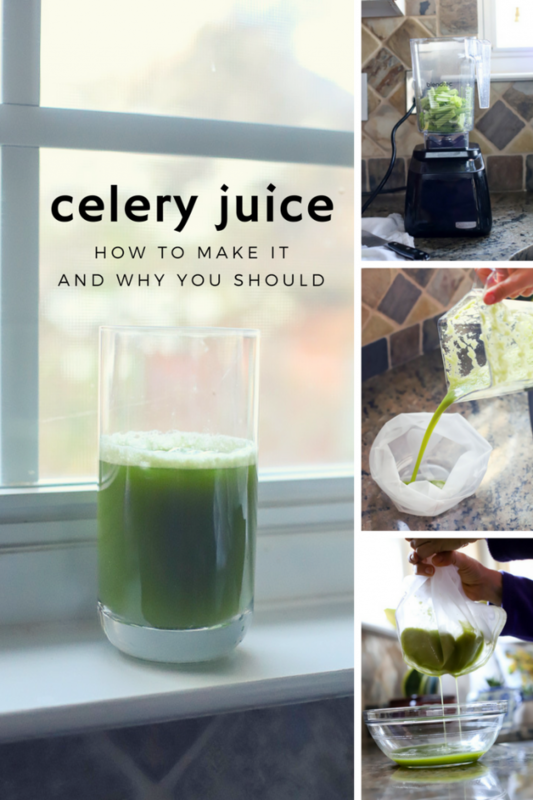 You might want to invest in one if you end up making a lot of celery juice. I really like a glass of cold carrot juice after a good workout. I am going to experiment with roots like ginger and tumeric also. For whatever reason my periods and bloating are much better after having kids. I rarely even need Ibuprofen anymore and the bloating is not as bad for as long (and only once a month). I use a copper IUD, so no hormones. Good luck on your quest! Does the book provide any science at all to support its claims? You mentioned that the author didn’t state why she chose the foods in the cleanse but I’m wondering if any peer reviewed research was sited. I just saw your instagram story saying this post was unexpectedly controversial. I don’t know how my original comment was interpreted but I didn’t mean it as snippy at all. I was honestly interested and asking! I enjoy reading about things even if I may not necessarily agree. Hi Amy! I wasn’t referring to your comment, but the ones above saying they were disappointed to read this. I don’t really know how to respond to those because I’m just a health-minded mom trying things out and sharing my personal results. I would have responded to your question, but a lot happened last week and I didn’t get to it. To answer it now- I don’t recall any peer reviewed research, but if I’m being honest, I wasn’t looking hard for it either. I enjoyed reading her insight and felt it was intriguing enough to warrant giving it a try. The way you described flipping out before a meal is almost the exact situation I was in with my husband a loooong time ago. He just couldn’t understand how I couldn’t make it between meals, how I would only focus on food when I was hungry, and would be at the point of tears. My doctor said it was just hypoglycemia! But I’ve also controlled it well with diet. I read this book a couple years ago and really liked it, but I listened to an interview with the author by Jess Lively and I think you should definitely check out HER podcast/blog… she’s really into Law of Attraction and I think it’s something right up your alley! Totally life changing once you get the hang of it… you’re so positive already, but it’s amazing what putting some deliberate intent into your thoughts can do 🙂 Love love everything you put out there and seeing your beautiful family. Hi Elizabeth! So good to hear from you <3 I have listened to Jess Lively before, but it's been a while so thanks for the reminder to check her out again 🙂 Hope you and your family are well! Acupuncture could really helhelp regulate your cycles too. I did that to help me get pregnant. Highly recommend Acupuncture. Also I loved this book.